Gallery Home › The Tower › Fireworks at Tower of London, 1639. Fireworks at Tower of London, 1639. 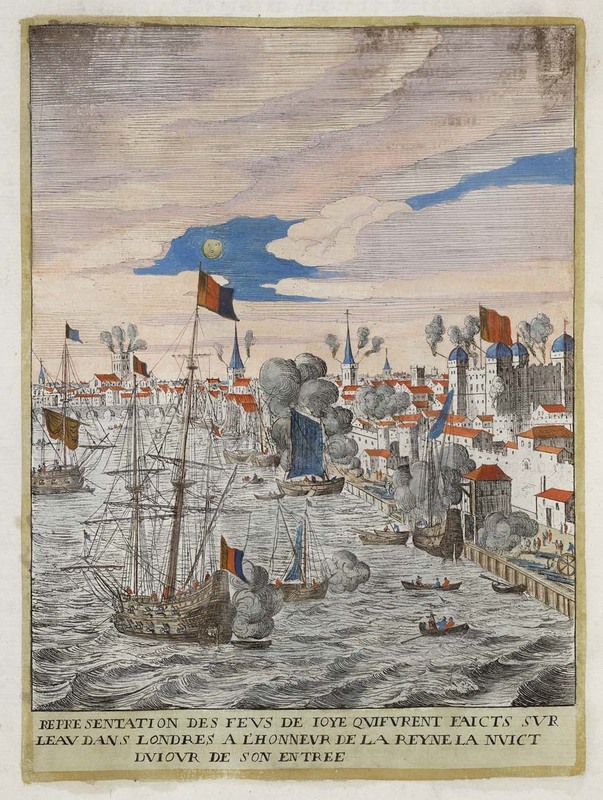 Fireworks honoring the visit to London of Marie de' Medici, Queen Mother of France in 1638, as shown in Jean Puget de la Serre, L'Historie de l'Entrée de la Reine Mère dans la Grande Bretagne (London, 1639). Courtesy Folger Shakespeare Library.